What’s better than a group of friends making and eating food together on a farm? Processing it all on site together. At least that’s what Brad and Amanda Kik, founder of ISLAND, thought when they first conceived the idea of a mobile processing kitchen a few years ago. 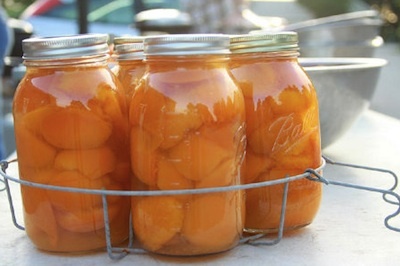 Inspired by their non-profit’s series of food preservation workshops that were gaining popularity around their small Bellaire, Michigan community, the Kik’s decided to take their arts and ecology center dedicated to “connecting people with nature, art and community,” out into the actual community. While they currently run a mobile, MDA certified poultry processor that allows small farmers to process chickens, ducks and turkeys, the success of their preservation workshops made them think about how they could pack up their kitchen and take it out on the road. With that, they created a trailer that unpacks into a high-efficiency, three-season food preservation kitchen and workshop space. Brad says there’s something about the combination of farm fresh food, old time skills and working together in the community that’s impossible to resist.